Website design and maintenance involves much more that just good looks! While presentation and graphic design elements are very important in attracting visitors to your site, a balance must be struck between graphic content, ease of maintenance and download speed. We can provide expertise in very effective design and management of your site through the use of various cost effective web site programming techniques that enable sites to present large amounts of up-to-date information easily. Total or partial maintenance - You simply telephone, email or fax any required changes to our office and we make the required changes, normally the same day. Any time we spend on site maintenance is charged to your account at the end of each month, although very small amounts may be help over to the following month. We do not have a minimum change, so if we don't do any updates in a month then there is no charge. Self maintenance via our Content Management System - We provide a password protected administration page where the site owner can easily alter the content of existing pages and also create new pages including images. We extensively use databases to create many areas of medium to large sites. For example, where a company may have several hundred products to display, instead of creating a single (html) page for each product, we can create database driven pages where a "master page" is simply filled with the required information from the database when the viewer requests that product. This approach greatly reduces the time taken to build and maintain your site. Databases can also be used to present 'Frequently asked questions', 'Latest news' and 'Useful links' pages. They can also be used to create specialised applications such as 'Accommodation booking', 'Surveys' and 'Order tracking' etc. All the database applications we use or create allow the site user to maintain easy control of the database information via the password protected administration page. We have extensive experience in providing economical solutions for selling products or services online. You can use either various standard modules for product display, ordering and payment or we can create completely customised pages to your exact requirements. Once again, the site owner has control over all the functions of the online system via the administration page. 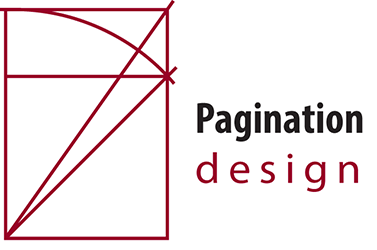 Pagination has provided extensive design and website programming for various eLearning and training applications used by various organisations providing either internal or external education/training courses. We have designed and created various applications for a wide range of business including . .
Online applications to provide your customers with information relevant to their particular circumstances. Some examples include . .
We also have available many other standard utility modules that can either be used 'as is' or modified to your style for page counters, discussion forms, chatrooms, surveys etc.